Something very special happened this morning on a commuter train in to San Francisco. I was reading my Kindle, but I looked up to see a surprising poster on the walls of the train station. 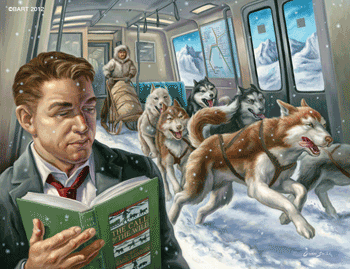 It was a painting of someone who was reading on a commuter train in to San Francisco. And the characters from the book were riding along on the train with them! I love the way his paintings imply that we’re all somehow magically together. 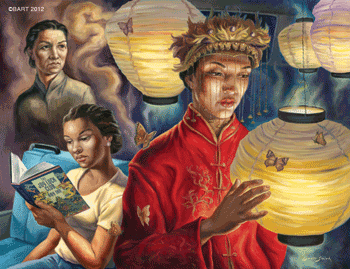 While a woman reads The Joy Luck Club, she’s sitting right in front of the older Chinese mother from the book, who’s watching over the daughter who appears in the foreground. The 1989 novel was set in San Francisco (and author Amy was from the Bay Area), so if its characters were here today, they’d probably be riding along with us on the train. Plus, the novel also told it’s story through the perspective of several different generations. It’s almost like the artist’s choice is suggesting that somehow, we can even transcend time itself — while commuting in to work! A Kindle can definitely brighten up your commute — and it’s something I noticed on my last visit to San Francisco. I’d worked there in the last 1990s, and as I’d looked around during my morning commutes back then, I’d seen lots of people reading newspapers. Today you notice a big difference: now almost no one is rustling around through a newspaper, trying desperately to find the right section. But there’s lots and lots of handheld devices — lots of Kindles, a few tablets, an occasional Nook, and even people reading on their cellphones! For example, in another poster the artist celebrates Dashiell Hammett, who wrote the gritty detective novel The Maltese Falcon. Hammett lived in the city himself, and in the novel his detective conducts an investigation throughout the city stress of San Francisco. But on the poster, that detective is riding on the commuter train, looking alertly over his shoulder at a suspicious femme fatale who’s sitting by the train’s doors. Through the window, you can even see a neon sign for John’s Grill — a real San Francisco restaurant which also appears in the novel. In a way, there’s one more person who’s sharing our space on the train – the artist who created these posters. 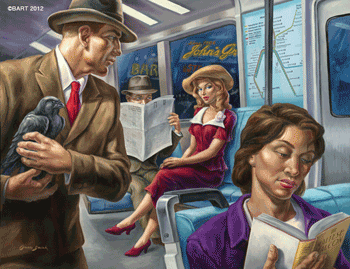 Artist Owen Smith didn’t try to add any more overt message, saying “If it’s a little mysterious, that’s OK…” But he’s reminding us of the precious things we can experience while riding a train. Even when we’re reading quietly to ourselves, we’re still connected to lots of people – both real and imaginary! It’s not often I get excited about an ebook that was this bad. But it was so bad, it was good. In fact, this particular Kindle ebook was so surreally awful, that it became a work of art. It was the one ebook so horrible that Amazon had to hunt it down and kill it. The book’s title was “Alot Was Been Hard”. Its author’s name was Janetlw Bauie. But there was no author — just an unseen presence lurking silently on the web. It was inhuman and utterly unpredictable — but in another sense, the book’s author was us. The books had titles like Wierd song you cute by Timsest Pitigam. The fake names were also generated by the computer, so you’d end up with ebooks like Sparta my have by Loafrz Ipalizi. A writer at MIT’s “Technology Review” blog identified those as two of his favorite titles, calling the whole project “a masterpiece of machine-generated unintentional comedy.” But behind it all, the artists insisted, they were trying to make a point. Of course, they also raised some other unintended questions with their book of YouTube comments. “My first thought was about how long it would be until they were sued for copyright infringement,” wrote a blogger at TechDirt. But eventually, someone else got to the artists first. Amazon has apparently deleted all their ebooks — presumably because every book in the Kindle Store should, at the very least, have an actual human author. It’s a sad end to a wild burst of what can only be called pure craziness. But is it really the end? In a secret fortress on the web, the artists are apparently still brewing up new schemes. Tuesday on their Twitter feed, they pointed to a web page announcing that “Our bots are up and running. Be ready for new releases …” And by this morning they were cranking out new ebooks for Amazon’s Kindle Store, still based entirely on comments stolen from YouTube. Their titles? The article was just published on the 15th at a web site called IndieReader.com (and it was later republished on The Huffington Post). But by that Tuesday, Amazon — in what’s almost an act of war — featured her article on the front page of Amazon.com! It seems like now everyone is noticing it. Three of my friends each decided to share that same article last week on Facebook. The top Kindle blogs are also buzzing about it, and it’s almost starting to feel like a revolution. 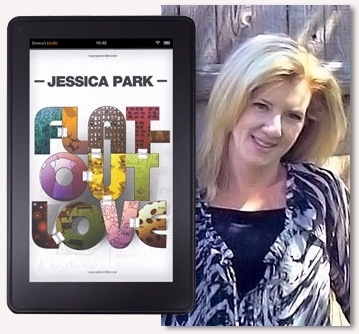 “One of the major reasons that I write is to connect with readers, not publishers,” Jessica explains. “The truth is that I couldn’t care less whether New York editors and publishers like me. I don’t want to write for them. I want to write for you.” Publishers had rejected her newest novel, Flat-Out Love, because its main character was a few years older than they’d wanted the character to be. 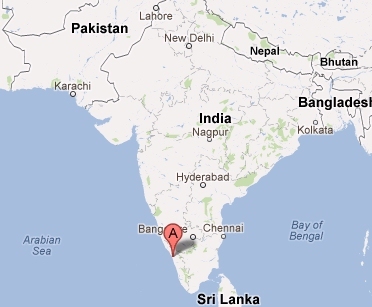 “It clicked for me that I was not the idiot here. Is it a trend? Maybe. Amazon’s founder also notes that of the top 100 best-selling ebooks in the Kindle Store for all of 2012, there are 22 that came from Amazon’s “Kindle Direct Publishing” program. (“[A]nd more great stories are being published every day…”) But I think there’s an even more compelling piece of evidence — the real passion that seems to glow in every single word of Jessica’s article. “We get to bring you our stories in the way we want to tell them, without the dilution and sculpting from publishing houses. And the fans? Oh, the fans are simply unbelievable…Their support and enthusiasm breathes life into days when I feel particularly challenged. “I’m in a circle of authors who have been dubbed The Cancer Warriors because our books have become saving graces for people going through cancer treatment. Readers are escaping hell on earth through our books. …books that never would have reached these readers without the ability to self-publish. 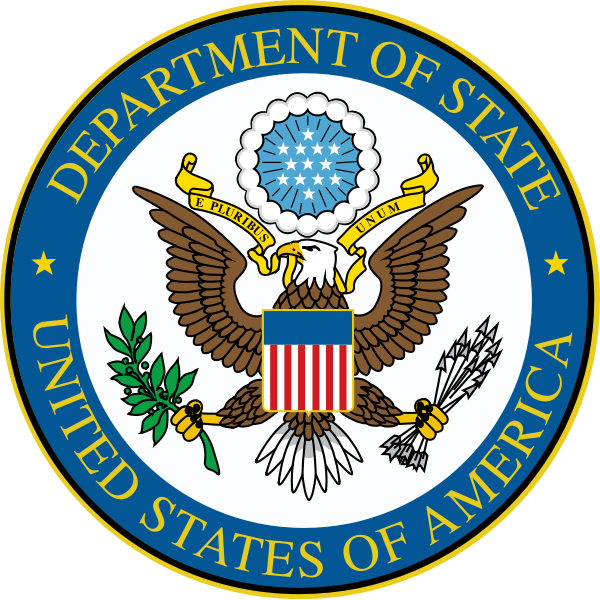 We get to do our small part to help them fight. Getting to be part of something like this is at the top of my list for why I write. Big News for Kindle Touch owners! If you own a Kindle Touch, here’s two very important announcements. First, Amazon’s Kindle Store finally got a Kindle Touch version of a new word game this week. It’s called “Throw in the Vowel” — I’m the game’s co-author — and it was released in February for all the other Kindle models. But this Kindle Touch version is even easier to play, since you just tap your finger to make choices on the screen. And unlike some games, you don’t even have to type in the letters in the words to submit your guesses! 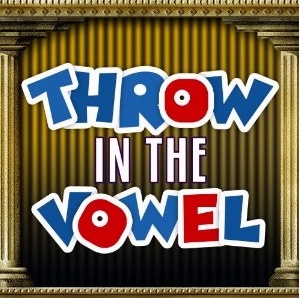 You can find a copy at tinyURL.com/ThrowInTheVowel , and the game represents a real milestone. For the last four months, we’ve been fine-tuning this touchscreen version, so it was a real thrill to finally see all the letters jumping happily around the screen in response to my fingertip! And while we were preparing this game, we also learned a lot about the Kindle Touch. For example, we’ve already adapted our game for the next generation of Amazon’s Kindle Touch software! That software is already “available” for Kindle Touch owners, but right now you have to install it yourself. Eight weeks ago, Amazon’s created a special web page where you can download the new software, along with some easy instructions for how to perform that upgrade. 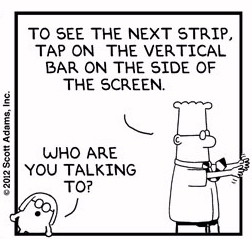 (Just point your web browser to tinyurl.com/KindleTouchUpgrade ). I imagine that Amazon will eventually send this software out automatically over the wireless connection, and they’ll start including it with the Kindle Touches that they’re selling in stores. But after working with it for a few weeks, I learned that this new software includes some really cool features! For example, it allows you to translate any word in any book into another language, just by pressing your fingertip onto the word (and then selecting “Translation” from the menu that pops up.) You can even customize the Kindle itself, so all of its menus appear in one of six foreign languages. (Besides English, there’s German, French, Spanish, Italian, and Brazilian Portuguese.) And you can also read ebooks in “landscape mode” as well as portrait (a feature which wasn’t available on earlier versions of the device.) Best of all, whenever you’re searching for something, the new software tries to guess what you’re typing! That way, you can just select from one of its on-screen choices rather than having to finish typing out all of the words yourself! Anyways, these two announcements have a common theme: there’s now new ways to enjoy your Kindle Touch! And I hope you’ll try out “Throw in the Vowel.” We spent over a year identifying 750 challenging words for our game, and polishing up the game’s “look and feel” just for the Kindle. Now that it’s finally available for the Kindle Touch, it’s your chance to join in the fun! OMG Still MORE Free Music for Your Kindle! You can upload the files to your Kindle, and then listen to them in the background while you’re reading (or playing a game)! And here’s what I’d written when I first heard about Amazon’s offer. Basically, I was surprised how many people don’t have music on their Kindles. Almost two years ago, I’d asked people in a Kindle Forum to share the songs they were listening to on their Kindles. Some people responded with some unexpected answers. 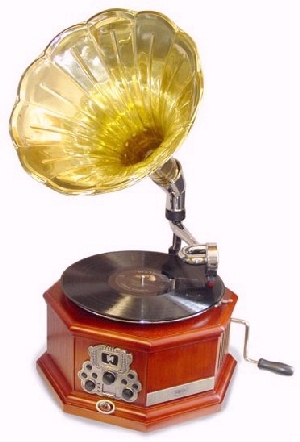 Even then people who were listening to music seemed to want to do it on another device. 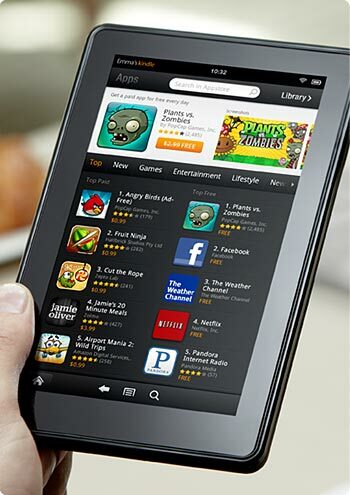 Will Amazon Lower Prices for Kindle Fire Tablets? Digitimes cites sources “from the upstream supply chain” who expect Amazon to release a new Kindle Fire tablet in July with a higher screen resolution (1280 x 800). And since the new tablets will cost $199, Amazon will offer a discount on the earlier models (which have a slightly lower screen resolution of 1024 x 600). According to Digitimes, Amazon sold less than 800,000 Kindle Fire tablets in the first three months of 2012, after racking up sales of close to 5 million when it was first launched at the end of 2011. So Amazon’s hoping to grow the user base for the Kindle Fire by offering a big drop in the price! Of course, Amazon hasn’t forgotten their other Kindles, and the “upstream sources” also shared their thoughts about the next generation of devices. Later this year, they expect Amazon to release some brand new versions of the black-and-white Kindle e-readers too, possibly in different sizes. And towards the end of this year, they even expect Amazon to release a larger Kindle Fire, with a 10.1-inch screen. So if you’re shopping for a new Kindle this year, it looks like Amazon will have some exciting announcements for you soon! You can find all the discounted Kindles at tinyurl.com/FathersDayKindles. And it turns out that Amazon’s also offering the same discount for a Kindle Touch that has built-in 3G connectivity. Though it normally costs $149, the refurbished model is just $129. But remember, the 3G connection only works for the Kindle Store and Wikipedia. For surfing the web, you’d still need to provide your own WiFi connection. And I was really surprised by the lower prices on some of Amazon’s other Kindle models. The Kindle Keyboard page doesn’t show any refurbished models for sale — but they’re advertising used Kindle Keyboards starting as low as $109. (Normally, they’ll cost you $139.) And there’s some even better deals on a large-screen, Kindle DX. Normally they cost $379, but there’s several used Kindle DXs available starting as low as $250! If you’re interested in a Kindle DX, Amazon’s also offering a terrific price as part of a special Father’s Day promotion. Through this Sunday, June 17, Amazon will let you purchase a Kindle DX and a black cover to go with it for just $262! This is a brand new Kindle DX, and to get one with the cover would normally cost $419. But through this Sunday, Amazon’s selling them together for just $299! I’m guess that at least a few lucky shoppers will place their order on Friday, pay Amazon for overnight shipping, and end up with a great Father’s Day gift — at a great discount! A public library in India tried a wonderful experiment to attract new members. They’re not just loaning out ebooks. They’re actually loaning out Kindles! In fact, nearly a quarter of a million ebooks are already available, with over 200,000 copy-right free books or books purchased from Amazon. But they’re also planning to digitize rare books — a great way to preserve some cultural treasures. To expand their program, they’re even considering a plan where they insure their Kindles against damage — maybe by taking a deposit from members each time they check out a device! 100 Discounted eBooks for June – $3.99 or Less! I love it when Amazon discounts ebooks for the Kindle — especially when there’s one hundred ebooks. 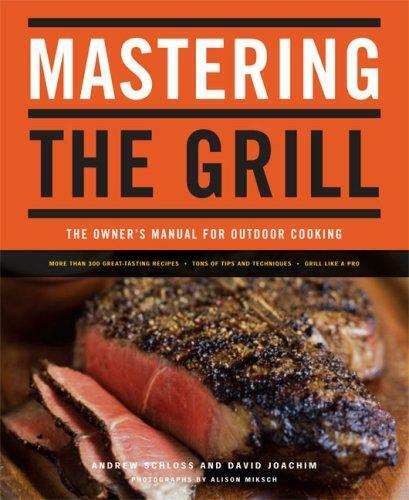 I finally took a good look at Amazon’s big selection of discounted ebooks for June. They’re broken into five categories — Literature and Fiction, Nonfiction, Kids & Teens, Biographies & Memoirs, and “More Great Deals”. You can browse through them all at tinyurl.com/399books — and this month’s selection seems even more eclectic, with a nice variety of discounted books. From Here to Eternity was only the first in a trilogy of World War II novels by James Jones (which also included The Thin Red Line). Jones actually witnessed the Pearl Harbor attacks at the age of 20, according to Wikipedia, and later based all three books on his war-time experiences. Whistle was his final novel – he was still working on it before his death in 1977, promising “Just about everything I have ever had to say, or will ever have to say, on the human condition of war.” And this fascinating book’s final three chapters were completed by a friend and fellow author named Willie Morris. This 1980s metal band sold more than 65 million records, offering up their iconic “anthem rock” in albums like Pyromania and Hysteria. But rock photographer Ross Halfin has been photographing them since 1978, and according to the book’s description at Amazon, delivers “candid and definitive pictures” of the hard-hitting band in action, along with his own up-close recollections, ultimately creating a “fully authorized visual history.” The print edition of this book normally costs $35.00 – but in June, it’s Kindle edition is just $3.99! In Berlin after World War II, “an American Army officer bears witness to the aftermath of one historic tragedy and the rise of another,” according to this novel’s description on Amazon. Soviet forces blockade the city, the historic airlift begins, and Leon Uris’s compelling military commander watches helplessly as an “Iron Curtain” rises which would divide Europe for the next 46 years. Hot desserts from the grill? I can’t wait! 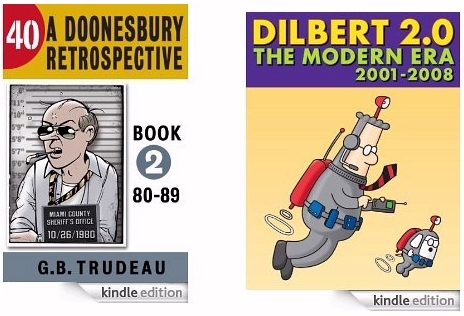 Dilbert and Doonesbury – exclusive Kindle ebooks!